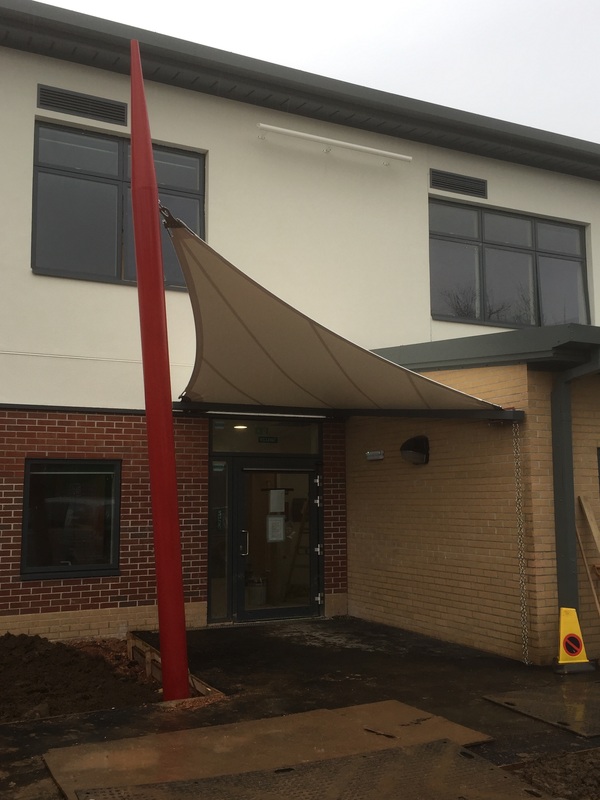 BAM Construction approached out Tension Structures division to engineer, manufacture and install a feature entrance canopy to a brand new building at Ladysmith School in Exeter, Devon. The bespoke design includes tensile fabric attached to an L-shaped corner gutter to allow rainwater drainage, with an inclined and tapered cantilever column to provide the principle tensioning point of the canopy. Completed in March 2017, the installation was completed over three days by two men, with the whole project delivered on time and to the agreed budget.